Photo by Jenny Desmond/For The HSUS. In a landscape of impassioned people fighting battles everyday for what is right, this week we can accept victory. The Humane Society of the United States has, after two years of dedication along with a coalition of dedicated individuals and organizations, come to a multi-million-dollar agreement with the New York Blood Center (NYBC) in the care of more than 60 chimpanzees in Liberia. As an organization founded by Dr. Jane Goodall, we believe every individual animal matters, and for these 60 chimpanzees who have endured enough, this means everything. We are proud to have been a part of this collaboration for the past few years, using our platforms, support, and Dr. Goodall’s voice to protect the right of these chimps to lead a quality existence for the rest of their days. (Photo by Carol Guzy for HSUS March 4, 2016). 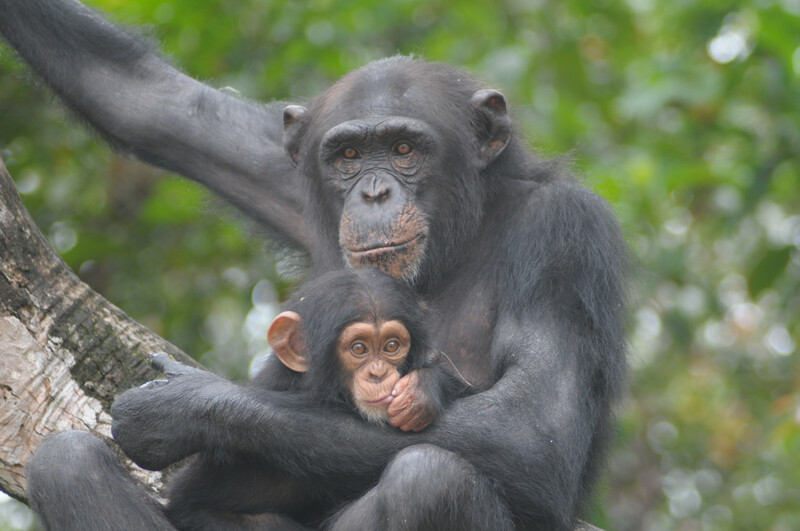 In 2015, after using 60 chimpanzees on an island off the coast of Liberia for 30 years of testing and biomedical research the NYBC withdrew funding. The former caretakers drew attention to the withdrawal, causing an overwhelming response from the Humane Society of the United States (HSUS) and Humane Society International to step in by providing emergency funds and to forge a coalition of more than 35 organizations, including the Jane Goodall Institute. Still, the HSUS and partners like JGI continued to engage in negotiations with NYBC. In a statement by Dr. Jane Goodall and JGI in 2016, she underscores the need for an agreement and proper action. Yesterday, HSUS announced that there is finally resolution in this seemingly endless pursuit of proper compensation. The announcement outlines the agreement which indicates that the NYBC and HSUS will split costs for long-term care, with the New York Blood Center committing $6 million which will help to cover the cost of construction of improved facilities and daily care. HSUS and HSI are still depending on donated funds to take on enduring care for the chimps (Find out more: www.humanesociety.org/liberiachimps). HSUS has expressed being thankful to the NYBC for this significant commitment and other entities like the government of Liberia, Arcus Foundation, Duke University scientist Brian Hare, former New Mexico Governor Bill Richardson, actors and animal advocates Kate and Rooney Mara, and the Liberia Animal Welfare and Conservation Society, along with the Jane Goodall Institute. 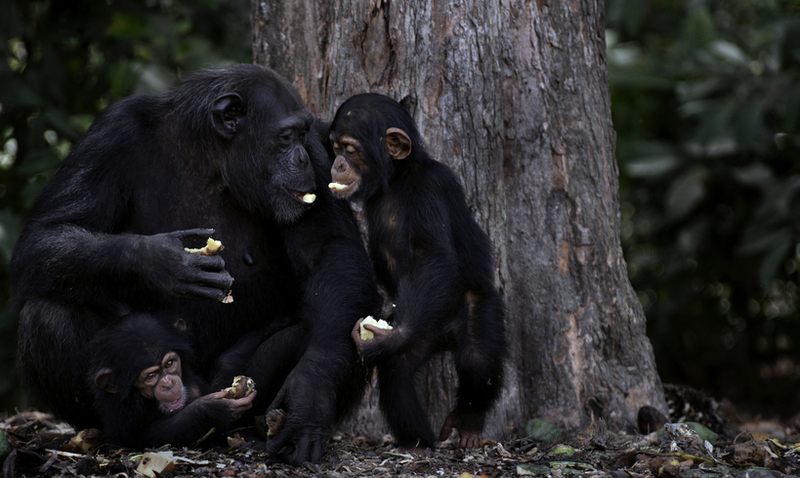 The funds raised beginning now will contribute to an endowment for the care of the chimps, securing their future. Now, the chimpanzees on this small island off the coast of Liberia will live out their days without further testing, with the care of those who know them and have their best interests in mind, and the security of this quality of life for years to come. It is because of the heroism of individuals who would not accept the sad fate of these chimpanzees that so many others were able to rise to bring us to this point of resolution. This agreement is evidence that our voices are our ultimate weapon, and that we must never give up. Thank you to everyone in our networks and to our partners, namely the Humane Society of the United States, for bringing this to the attention of millions and for not surrendering to apathy. We hope that the image of these chimps living peacefully at last will invigorate you all to continue to take action and to understand our true power as an individuals to make a difference.